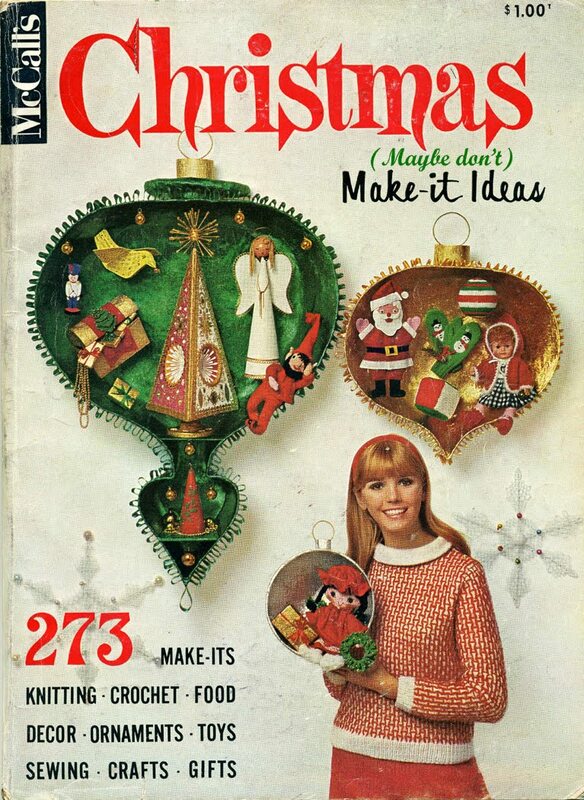 The Impatient Crafter : The 12 Retrofabulous Crafts of Christmas: When Vintage Crafts Go Terribly, Terribly Wrong. 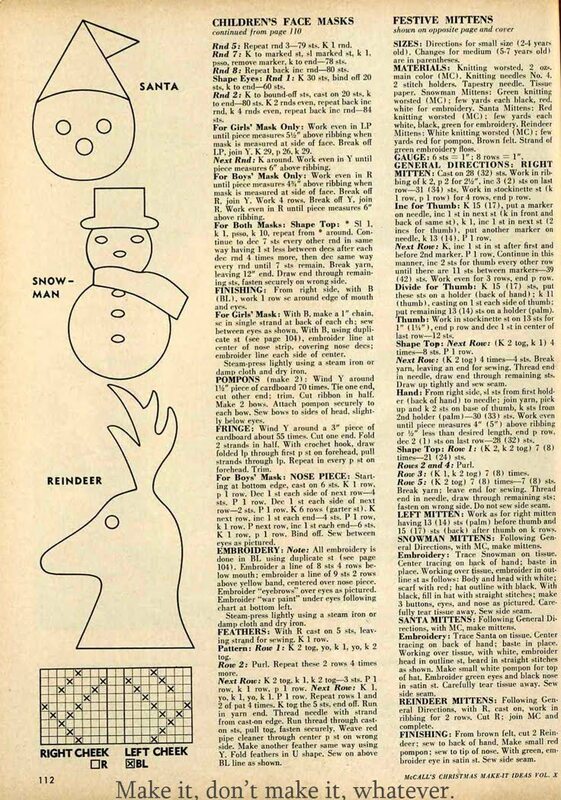 The 12 Retrofabulous Crafts of Christmas: When Vintage Crafts Go Terribly, Terribly Wrong. Click on picture pop up to read text, just do it. Read it all, you will be glad you did. 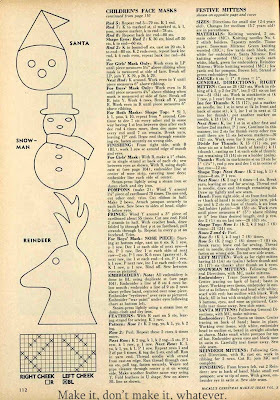 Today's whimsical holiday craft illustrates the dark side of my stash of vintage craft magazines. Perhaps not so retrofabulous, this is what happens when good crafts go terribly, terribly wrong. McCalls, what were you thinking? 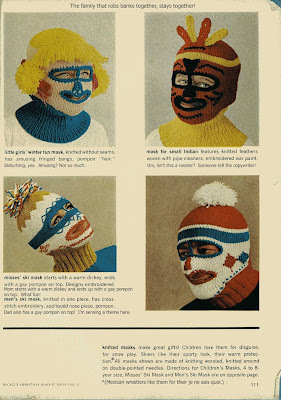 If anyone makes these masks, I will do a happy dance. I have included the instructions for your edification and entertainment. 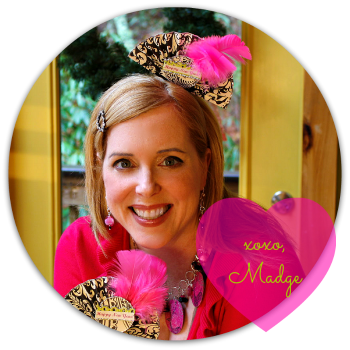 I will even send you a set of my books and some studio swag and I will model it in a The Impatient Crafter video. That is if you make one for me. If you make one for you, well good luck with that. Please take a moment to carefully read these pages as something is awry...or Madge has spent far too much time playing with fonts in Photoshop. Which is pretty much the same thing. I pull one last crafty trick out of my arse tomorrow, but I am taking Christmas off, people. I have seriously earned it! 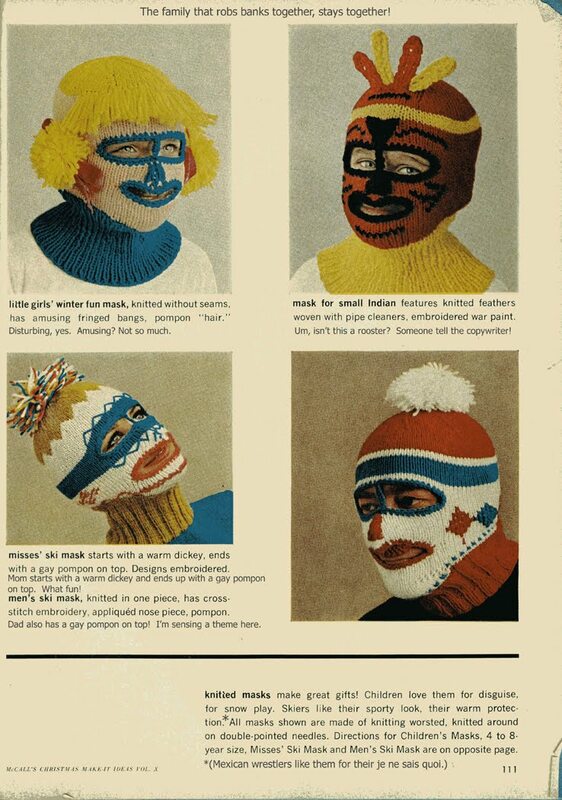 I actually think I know someone who would make those masks! But then she made me a "nose warmer" for a holiday gift about 18 years ago. No, I didn't wear it (are you kidding?!). I know, these are so horrific, what was the editorial director thinking?! I need to see this nose warmer! I want to meet this person! If anyone actually made these and tried to sell them, they would end up on Regretsy.com--and deservedly so. I haven't been able to get this image out of my head all day. Thanks, Margot. I do what I can to bring a little joy to the world.